Instead of hosting the same old ugly sweater party this year, use a classic holiday film as your inspiration for a themed party. 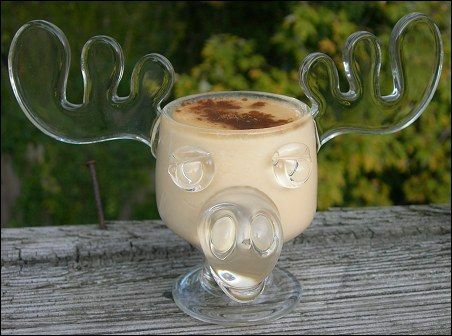 This year's movie inspiration: “National Lampoon's Christmas Vacation.” Up your Christmas cred this year and try your hand at one or all 5 of these Christmas Vacation inspired dishes. Stir boiling water into jello until jello is completely dissolved, about 2 minutes. Spray the mold pan with Pam and refrigerate for 1 1/2 hours or until jello is thickened. 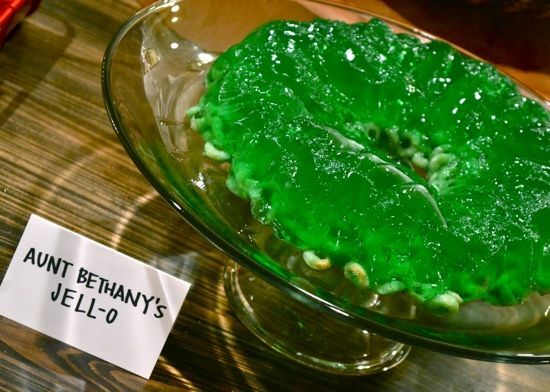 After the jello is set, turn out onto a serving plate. 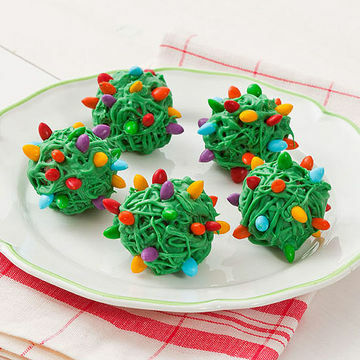 Garnish as desired with Cheerio's or Lucky Charm's cereal and make Aunt Bethany proud! In a medium saucepan, whisk milk and sugar for 2-3 minutes on medium heat until sugar is dissolved. In a large bowl, whisk egg yolks. Slowly pour milk and sugar mixture into yolks. Return mixture to the saucepan and cook over medium-low heat for about 20 minutes, stirring often. Continue to stir until mixture is thick enough to coat the back of the spoon. Remove mixture from stove and strain, then add the heavy cream. Let cool completely then cover and refrigerate until chilled. Grate nutmeg and cinnamon to garnish drink before serving. In a small saucepan, melt the butter over medium heat. Add in the chocolate chips and peanut butter, stirring frequently until chips are melted and smooth. Remove saucepan from heat and stir in vanilla. Add Chex cereal to a 13 quart mixing bowl. Pour chocolate-peanut butter mixture on top and gently stir with a spatula until all Chex cereal is coated. Set bowl aside and set a baking sheet nearby and cover with parchment paper. Add powdered sugar to a Ziploc bag (gallon sized). Working in batches (about 1-2 cups at a time), add coated Chex cereal to bag with powdered sugar, seal or twist the top of the bag closed, and then shake the bag until the Chex cereal is coated with sugar. Remove finished puppy chow and spread out on prepared baking sheet. Repeat step until all the puppy chow is made. When finished, discard plastic bag and any dry powdered sugar that remains inside. 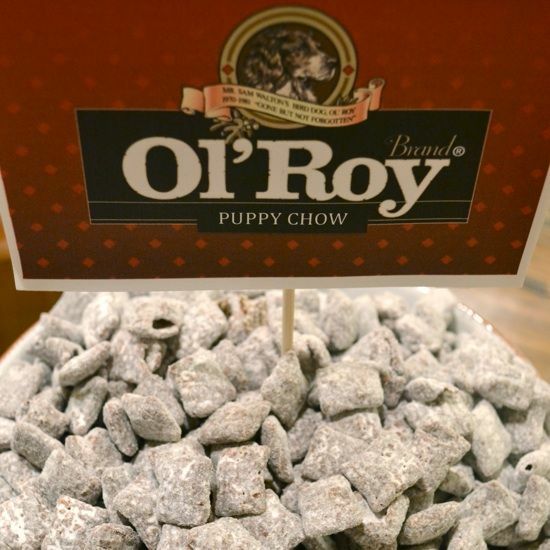 Let puppy chow cool completely before eating. Once cooled, transfer to a sealed container and store for up to 5 days. 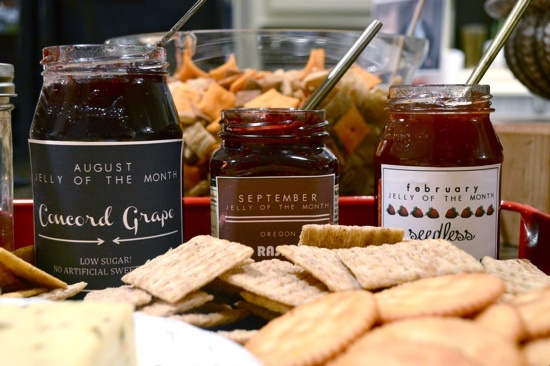 Lay out jelly, cheese and crackers on a festive tray and serve the gift that keeps on giving all year long. First, create a stand for holding the treats while they cool by making slits in the underside of a cardboard egg carton. Insert a lollipop stick into each doughnut hole. Melt the candy wafers according to the package directions. Spoon the melted candy into a ziplock bag and snip off a corner. Working with one doughnut hole at a time over a sheet of parchment paper, drizzle on the candy, covering the doughnut hole completely. If the candy is too runny, let it cool slightly; if it becomes too cool, reheat it in the bag in three-second bursts until warm. Press the sunflower seeds, pointy side up, into the treat. Slide the lollipop stick into the egg carton. Let the candy set completely. Remove the stick, if desired, and repeat with the other doughnut holes.